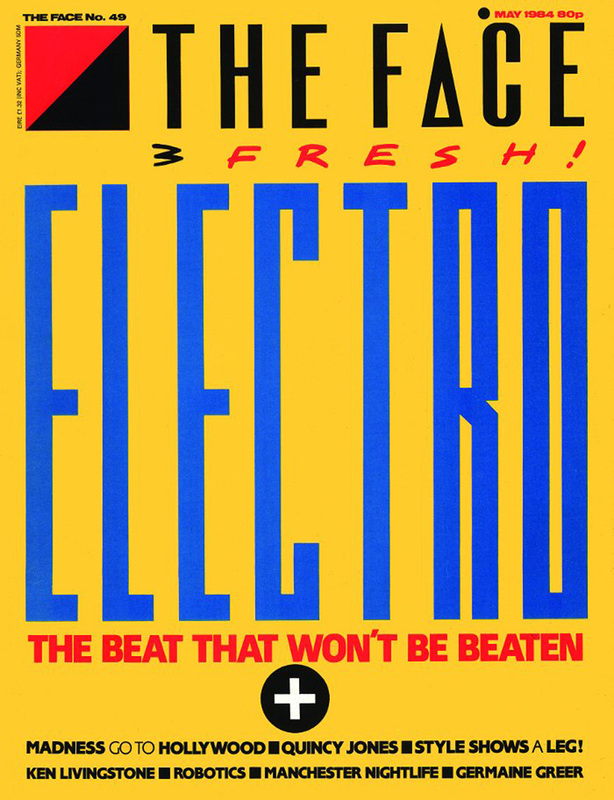 egarded as one of the most influential cultural authorities in Britain The Face is set to relaunch after a 15 years hiatus in print and this is big news for the industry, especially since recent closures of titles like InStyle, ShortList and numerous others suggest that magazines are having a hard time. Yet this title survived the harsh times of the eighties so this bet is on! 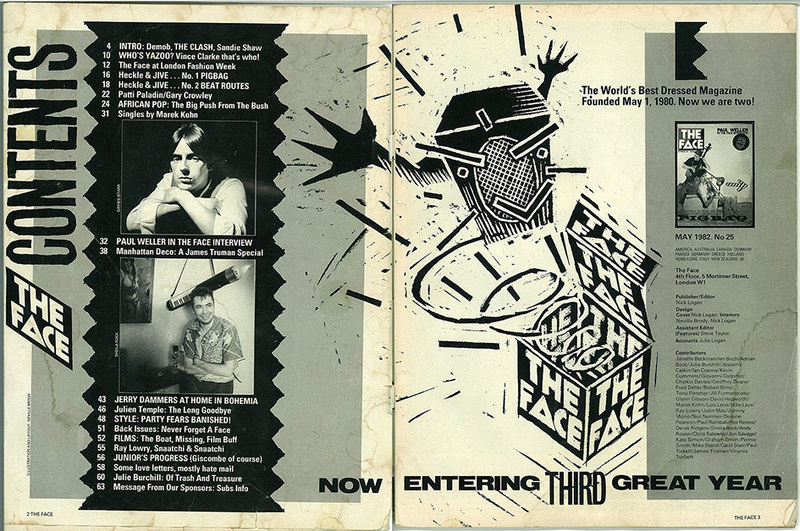 A gateway into the coolest corners per The Independent, The Face was a beacon of culture for two decades and some before it was folded in 2004. Fifteen years later the publication is hoping to break new ground in print and the very dedicated following of fans is more than thrilled with the project which has launched a social media campaign through Instagram. 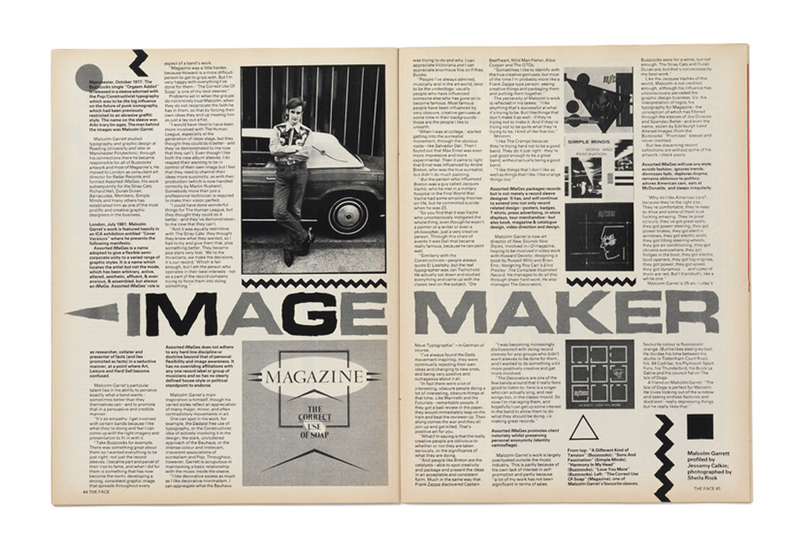 of the title that revolutionized the visual language of magazines thanks to some cutting-edge typography by the iconic Neville Brody. 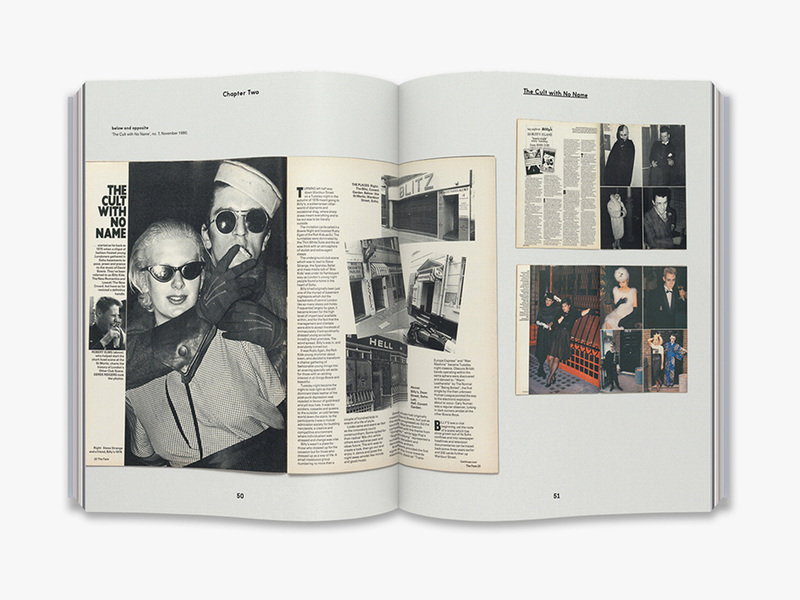 Innovative and provocative, both in editorial and visuals, this definitive benchmark for what was worth knowing became synonymous with London's cultural zeitgeist with photographers and editors who were living outside of any box. 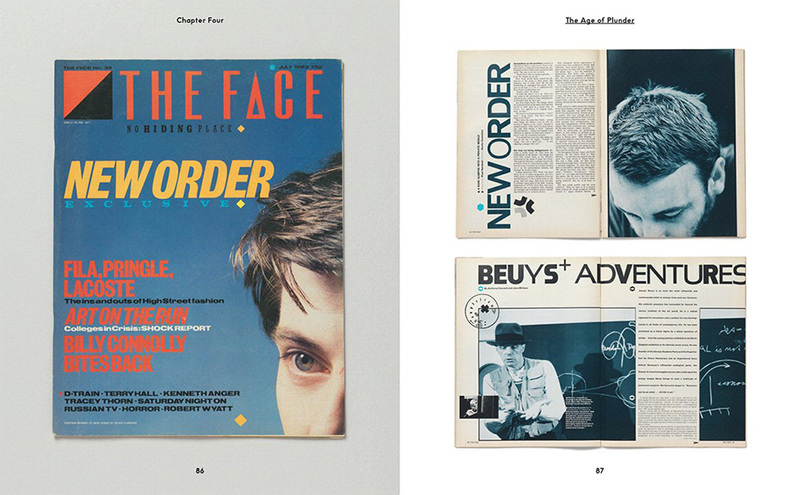 Over the course of its 24-year lifespan "The Face" changed the magazine industry as we know it and its legacy is presented in all its glory in The Paul Gorman's "Story of The Face: The Magazine that Changed Culture" which was published almost two years ago. 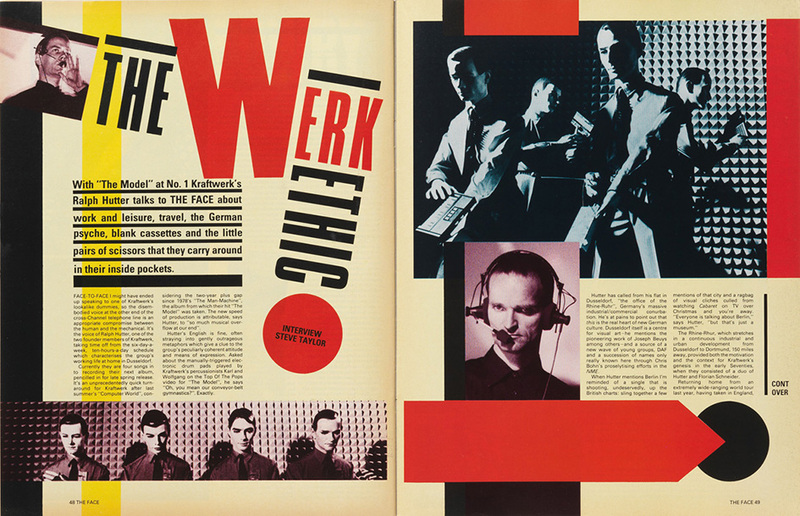 Launched by NME editor and Smash Hits creator Nick Logan in 1980, The Face was Britain’s first youth magazine to present ‘youth subject matter’ beyond music alone. "A strong voice of urban identity in the age of Thatcher, it rapidly became an icon of ‘style culture’, the benchmark for the very latest trends in music, fashion, photography and film" notes Thames and Hudson of the book which tracks "the exciting highs and calamitous lows of the life of the magazine". 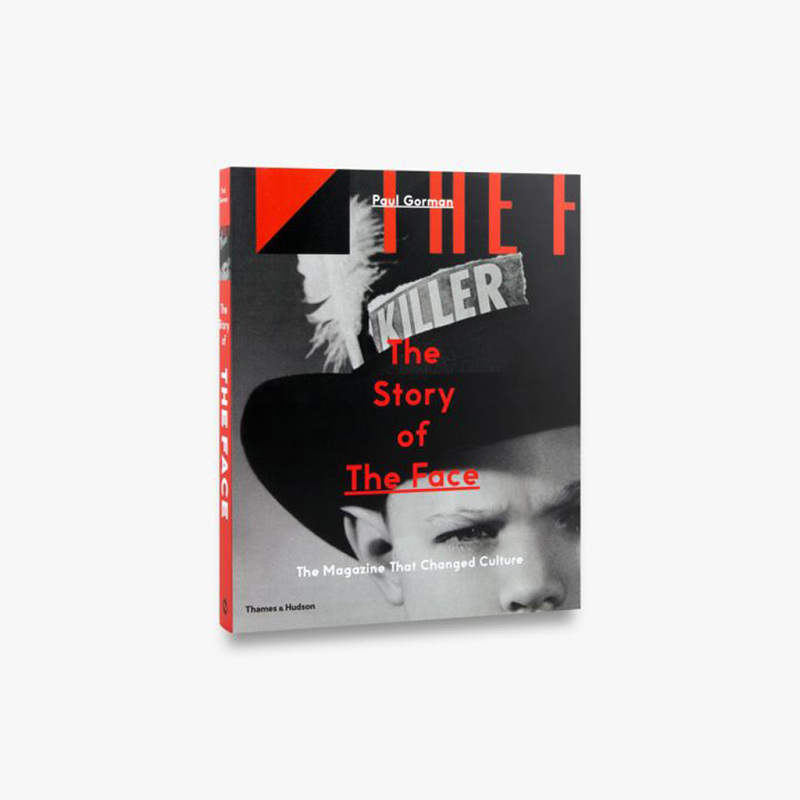 In its first part, the book focuses on the rise of the magazine in the 1980s, highlighting its striking visual identity – embodied by Neville Brody’s era-defining graphic designs, Nick Knight’s dramatic fashion photography and the ‘Buffalo’ styling of Ray Petri. 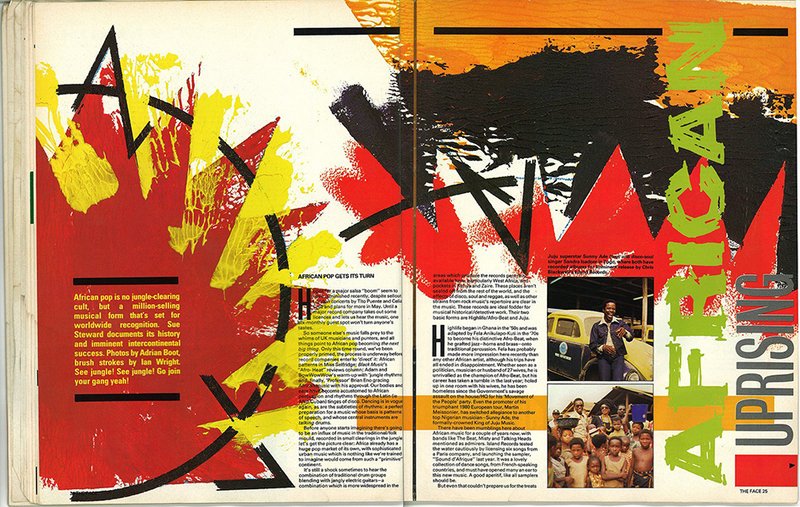 "New Spirit, New Wave, New Romanticism-call it what you will, there is a new style in graphics. 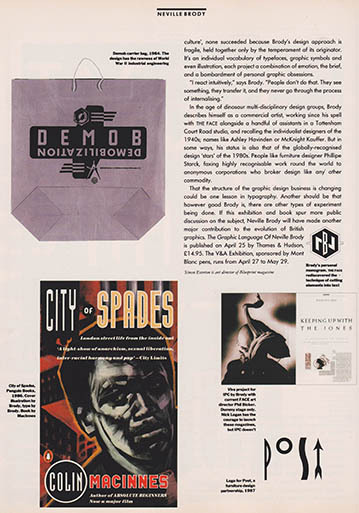 Neville Brody, art director of The Face, is one of its original exponents and one of the most eminently imitable figures in graphic design today" writes Elizabeth Margaret Farrelly in the introduction to her interview with Brody, back in 1986. "Not that style is a word he would willingly apply, regarding it as ‘a superficial thing, just something you use to express ideas. 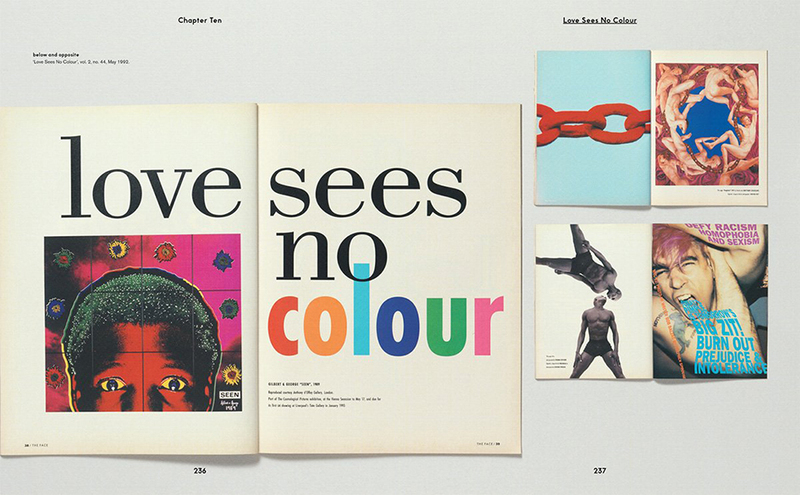 The really important thing is not the style itself, but that you keep moving, keep questioning your own assumptions, breaking your own rules.’ For there are, he says - in typography as in other things - no real rules; what we habitually regard as rules are really just assumptions too often unexamined. And as one who, like the punk movement itself, has gone a long way on breaking with convention, he should know. 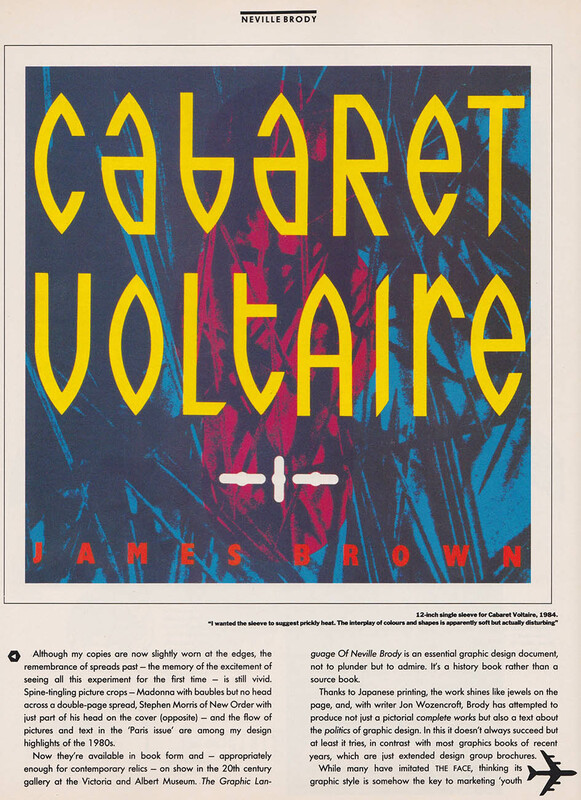 Nor is it strictly speaking new, numbering amongst its sources many of the early modern movements such as Dadaism, Constructivism, Futurism, Expressionism, and Neo-Primitivism as well as the American ’50s, the Situationists, and punk itself." Brody "fell into" magazine design by chance, "attracted by the ‘idea of taking the signs and symbols of advertising, the corporate logo, and using them out of context’ and by the possibility of minimalist experiment, of ‘stripping right down to basics, and then rebuilding; what does a magazine really need?’ He was interested in the idea that people don’t actually read words anymore so much as recognize them, and would experiment with running words and headlines as far as possible off the page, using them rather as symbols, or street signs, to direct the reader around what he calls the ‘town planning’ of the magazine". 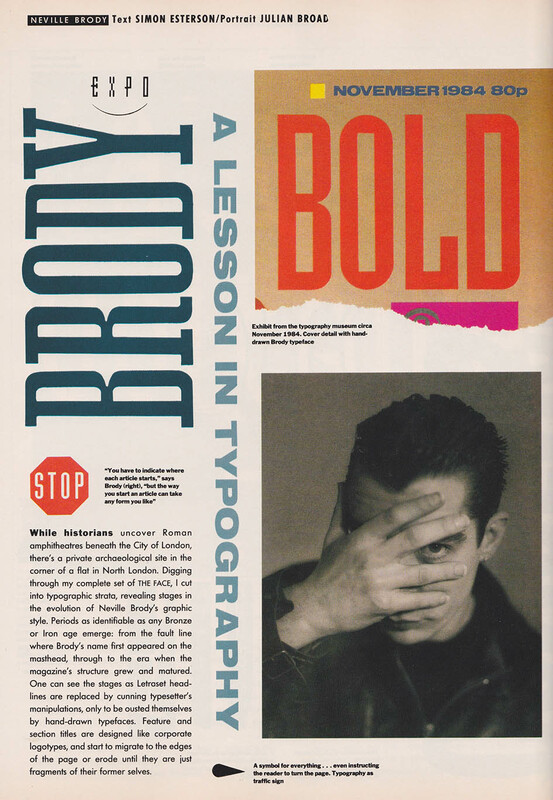 Experimental and primitive, Brody's typographic adventures were bold and thrilling, a rebellious act of visual branding that spoke volumes to rave kids and execs alike. 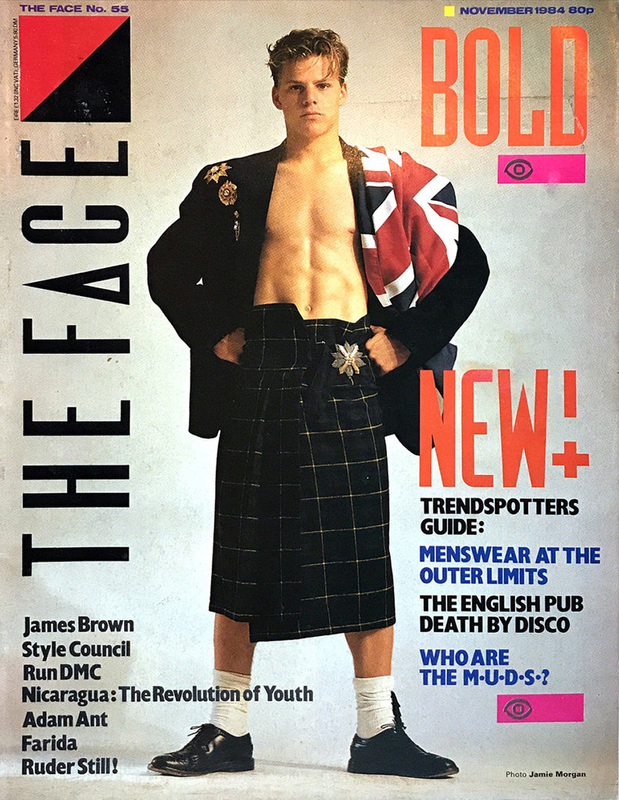 Influential in showcasing a number of fashion, music, and style trends of youth culture including New Romantic, and the "Hard Times" look of the early 1980s Neville Brody's take of The Face lasted five years -from 1981 to 1986- is still iconic. Now The Face has a new editor, Stuart Brumfitt, and although the rest of the team is yet to be announced the title has recruited a number of part-time contributors and collaborators to reenter the industry. The first print issue will launch in late summer but "a soft online launch is set for April, so more details about what the print edition will look like will be revealed then". According to a statement released by the publication, it will "delve deep into the world of music, fashion, sport, politics and the art" and be reimagined as an integrated, multi-channel offering through audio, video and the written word. It’s about a global outlook; connecting the dots; always talking up to its audience – and all done with a style that no one else is doing right now." Should we predict a riot? Well, stay tuned and watch this space.